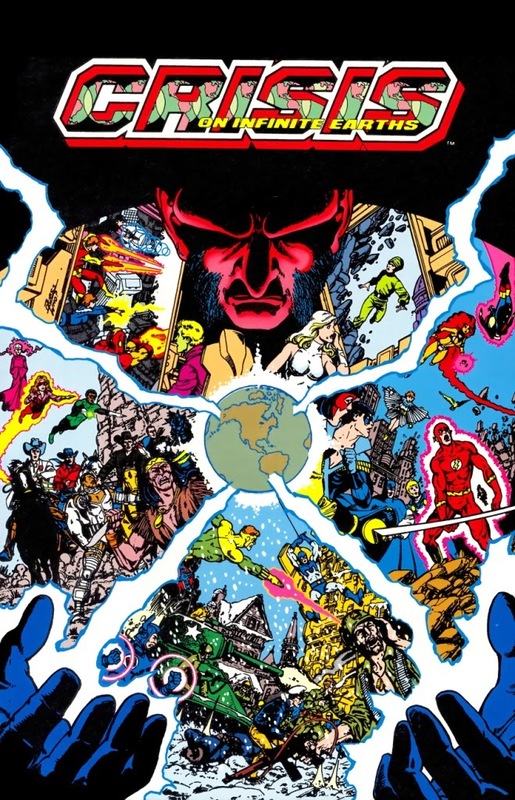 As some sort of "self-flagellation psychological experiment", I agreed to take part in Comics Bulletin's celebration of the 30th anniversary of DC Comics' FIRST MAJOR CROSSOVER EVENT, Crisis on Infinite Earths. READ OUR "REVIEW" OF ISSUE #3 HERE. "It seems like this thing is just coming apart at the seams (which, in a way, makes it kinda seamy). Nobody seems to know what the hell is going on. From The Flash asking, “Wh-what the hell is that?” to Jackie from Easy Company saying, “Somethin’ crazy’s goin’ on here, Rock.” to the Monitor himself stating quite clearly, “There is no answer. Indeed, there can be none.” this book has gone so far off the rails that it’s flipping boxcars, boxcars, boxcars racketing through snow toward lonesome farms in grandfather night… Who’s Howling here now? Still, what do you expect from a Crossover Event in which NOTHING WILL EVER BE THE SAME AGAIN?